A sunny weekend, lumbered with the bored kids and wishing I was out on the bike. Hmm, what to do instead? 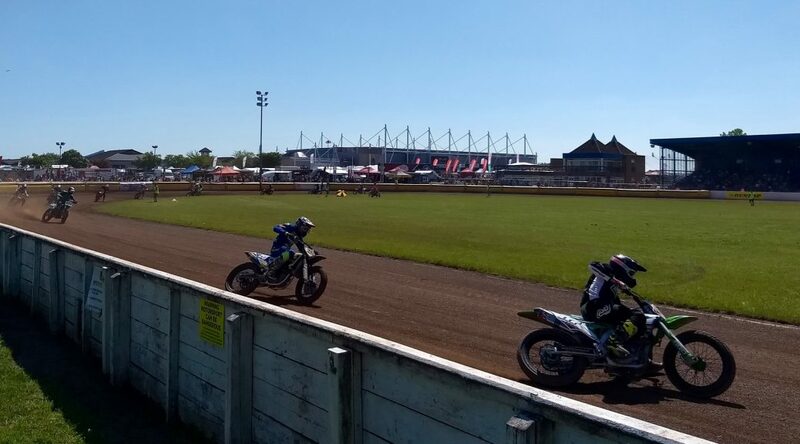 Well, the MCN Festival up near Peterborough was on and looked like a good day out. At £16 quid for an advance day ticket, kids going free, only an hour and bit drive away and plenty on schedule – it seemed a good option. I popped along to this local fun day a couple of years ago, I recall it being a bit small – just only a handful of stalls. Returning this year, it was good to see the event had developed and had a lot more going on. 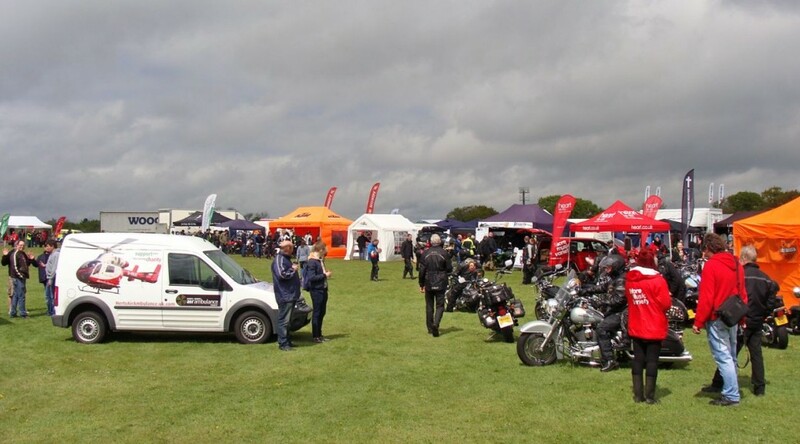 The fund raising event is organised by the Essex & Herts air ambulance, a entirely charity funded service, and one that is often deployed to a fallen motorcyclist. 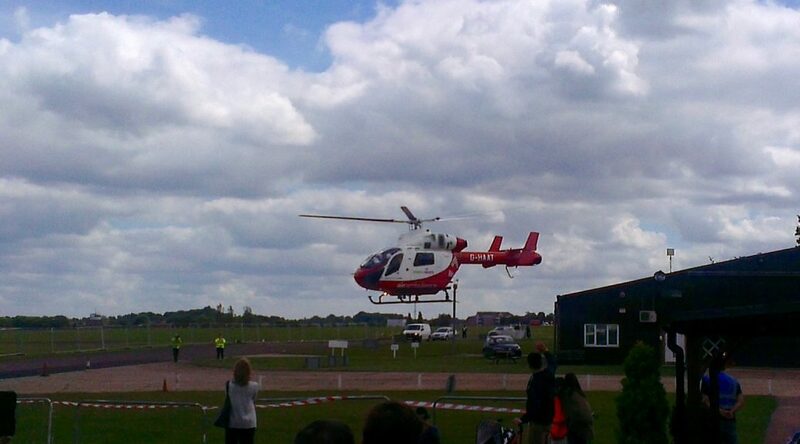 North Weald airfield is a great venue for the day, and obviously where the air ambulance runs from. 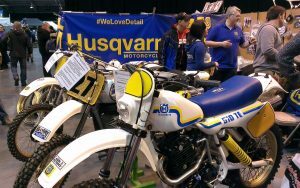 At the weekend I popped by the Classic Dirt Bike Show up in Telford. Being in the area with family and having not checked it out before, it seemed too good to miss. Admittedly I’m no off road dirt biker, but some green lane and trail riding has always been on my list of stuff to try. So with kids in toe we rocked up to ponder all these curious bikes with knobbles. 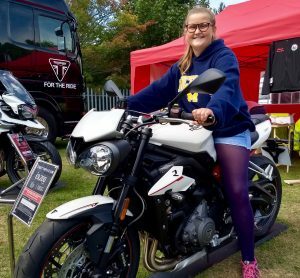 Earlier this month I popped along to the IAM’s 60th birthday bash up at the Nation Motorcycle Museum in Solihull (near Birmingham), being a member of IAM it seemed daft not to. Especially as they had guest talks from Steve Plater, Peter Hickman and Mick Grant and a chance to check out all the classic bikes in the museum. I rode up with another from my local ELAM (East London Advanced Motorcyclists), avoiding the M1/M6 by taking the old A5. On arrival, of course we had to check out everyone else’s bike, including the parade of bikes from every year of the last 60. 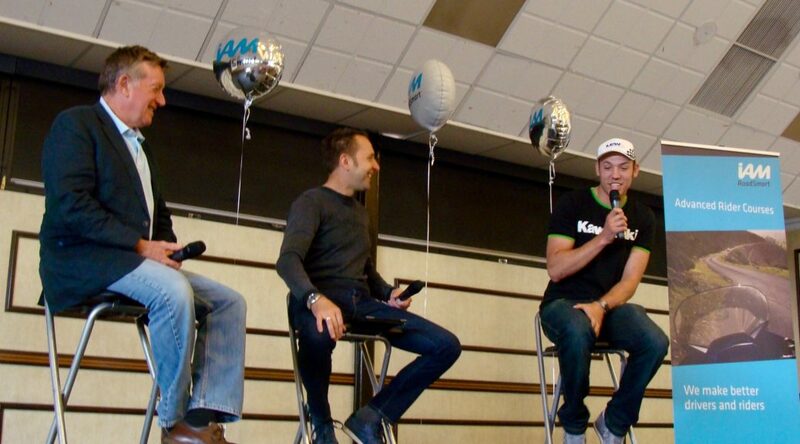 Next we hurried into the main hall to listen to Steve Plater, Peter Hickman Mick Grant discussing BSB, the TT and how bike racing has changed over the years. It was a Bank Holiday weekend, so as per tradition it pissed down. 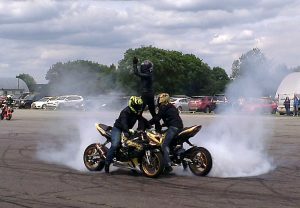 Not that rain could stop the Essex Motorcycle show, over at North Weald airfield. Being local and free I dragged the family over (albeit in the car), to see what the fuss was about having not visited in previous years. It was a small, local show setup outdoors with various aeronautical gubbins as a backdrop. 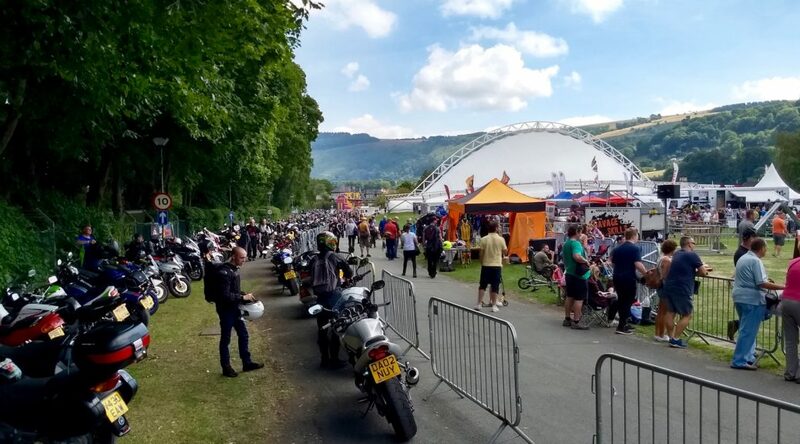 Stands were mostly a mix of local dealers (promoting KTM, Suzuki, BMW, Ducati, Harley Davidson), local advanced riding groups, training schools and the emergency services. Not a huge amount, but still worth an hours mooch, especially as it was free. Oh yes, did I mention it was completely free to get in?! 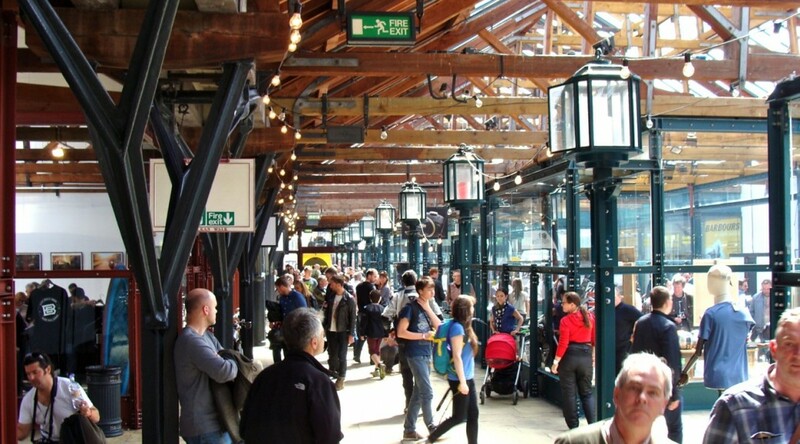 At the weekend the Bike Shed MC were hosting their annual show down in Tobacco Dock, East London, having outgrown their usual Shoreditch haunt. 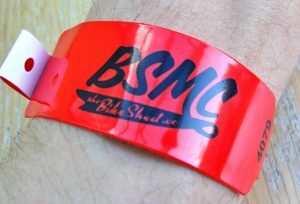 The event was a huge showcase of the best custom bikes, cafe racers, cruisers, bobbers and other random hand built two wheel mayhem. The weather was lovely, but unfortunately this was a family outing, so the bike remained at home. 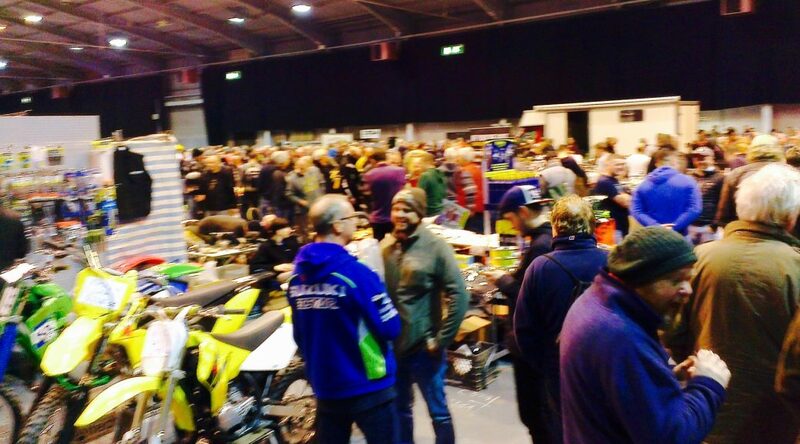 But that didn’t stop hundreds of other bikers descending and enjoying the chilled out atmosphere. But I couldn’t help wondering if I’d fit in better with a well trimmed beard, waxed moustache and a full sleeve tattoo. A peculiar blend of ’50s rockabilly and Chap was very much in vogue. It was good to check out all the funky bikes, even if I’d be hesitant to take any out on the streets of London myself, style over substance seemed to pervade in many instances. Knobbly tyres and Hessian wrapped pipes are definitely this seasons look. Front mudguards are optional and the more belts on show the better. 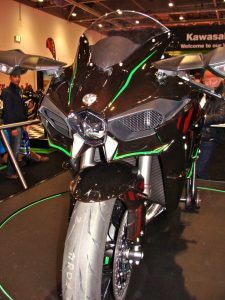 Hope you like the snaps of all the best bikes we saw. The kids pinched my camera for most of the show as they were getting a bit bored, so please excuse the odd framing or any not quite in focus. They were pissed they couldn’t sit on all the bikes like at the last show we went to! 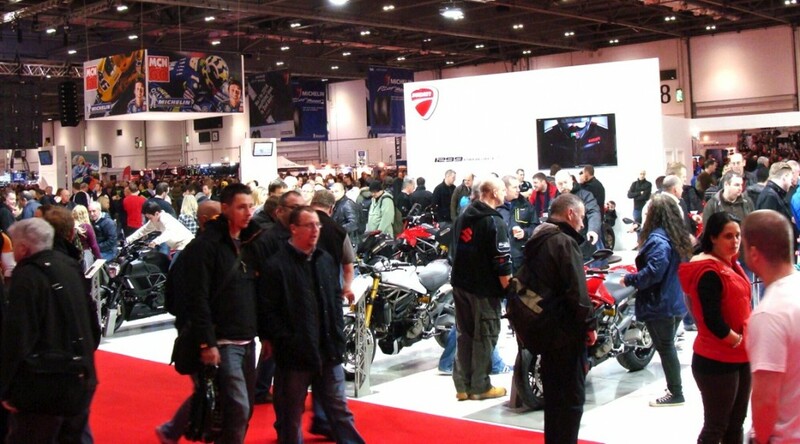 The show took up a sizeable area of Excel, but ironically was located directly opposite the (push) Bike Show, so cue lots of confused people expectantly finding bikes with (or without engines). 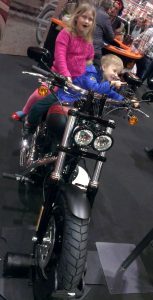 A lot of the big brans were present at the show, Yamaha, Honda, Kawasaki, Ducati, BMW, KTM, Harley, Indian, Royal Enfield, etc. 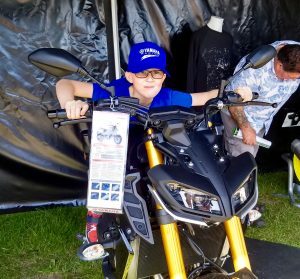 However notable there was no Suzuki… On the Friday, the show was reasonably busy, but not too busy and we had plenty to opportunity to sit on many bikes and get a feel for for them. Something the kids loved doing at every step! 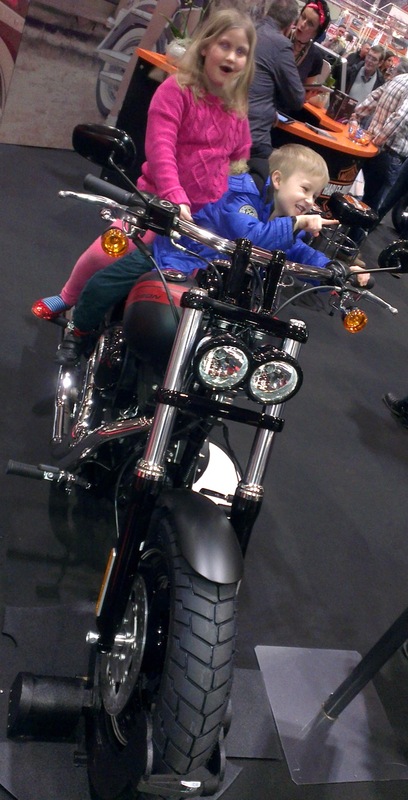 With Mary’s short stature, it was a great chance for her to check out what bikes suited her best. The Ducati Monster 696, Honda CB500 and KTM Duke 390 all seemed good candidates.